Nancy Eberstein has been a professional, full-time REALTOR® since 1989 specializing in the sale and marketing of homes within the Tallahassee area. A consistent top producer, Nancy has been winning awards for her outstanding sales performance since 1991. She places within the top 10% of all REALTORS® in the Tallahassee Board of REALTORS® in terms of sales. Nancy knows that one of the keys to success is found in education. That’s why she has worked to earn two of the real estate industry’s most prestigious professional designations. She holds both the CRS (Certified Residential Specialist) and the GRI (Graduate REALTOR® Institute) designations which are earned through a rigorous course of study and documented experience. These designations are held by fewer than 4% of all REALTORS® nationwide. 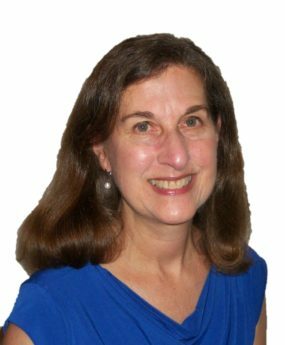 A native of Mississippi, Nancy Eberstein has been a resident of Tallahassee since 1981. She holds a BA degree with honors from the University of Texas at Austin. Her husband of 33 years is a professor of Sociology and Demography and past Chairman of the Department of Sociology at Florida State University. He has been an active Boy Scout leader for 17 years and is involved in high adventure hiking and backpacking (and occasionally is able to get Nancy out on the trails). They have two children. Their son, a graduate of the University of Maryland, is working in government relations in DC and married in November 2006. Their daughter, son-in-law and granddaughter were recently returned from a 3 yr stay at RAF Lakenheath in England. They recently moved to Naples, FL, along with thier granddaughter. Nancy and her family are active members in Temple Israel and a wide range of civic and community organizations. Nancy doesn’t believe in high pressure sales. Her job is to educate the client about the buying/selling process. Clients appreciate Nancy’s thorough approach to real estate; but what they really like about her is the caring attitude that she exhibits. The end result of Nancy’s education process is that her clients always know what to expect and they get exactly what they were looking for. If you are seeking a patient, caring and detail-oriented real estate professional for your next transaction, call Nancy Eberstein today!